I regret to inform you guys that there will be no Global Geek News Podcast this week. Due to multiple issues in my personal life, I don’t expect to have time to record a show this week. Wesley is also going though some personal issues that he has talked about on his blog and he is unable to do the show this week as well. I may or my not blog everything that is going on in my personal life but I do tend to Twitter a lot of it for those that are interested. I can’t speak for Wesley, but I hope to be back doing our regularly scheduled shows next week even if Wesley still needs more time to take care of his personal life. My apologies to everybody who was looking forward to a show this week but unfortunately, some things just can’t be avoided. Have a great week and we will see you guys on next weeks show. For more news and updates, follow Global Geek News on Twitter and check out the Global Geek News Blog. 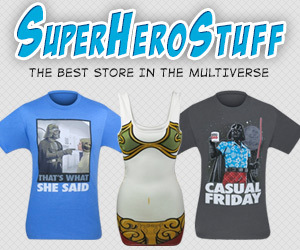 The Global Geek News Online Store Launches!